Upon graduating I had absolutely no idea what I wanted to do, and to some extent I still don’t. All I knew were two things: 1. I was broke and 2. I wanted to carry on the photography work I had been doing at university and create a new project based around landscape and self-portraits. So I did the thing that seemed smartest at the time and moved back home to Cumbria. Here I could live rent free initially and had the best chance of getting a job quickly due to my contacts in the area. Thanks to a friend, I got a job in an aluminium factory. Although this was a fairly straightforward job, carrying various pieces of aluminium from one place to another, it was very labour intensive and long hours in the factory were incredibly tiring. Whilst there, I continued to look for work and after about six weeks I got a job working for Aldi as a store assistant. The reason for this move was largely financial as Aldi’s wage was a good couple of quid better than that at the factory. I stayed at Aldi from the November of 2013 through to the summer of 2014. At this point, I still didn’t know what I wanted to do but I did know that I didn’t want to be at Aldi for much longer, and it was hard to see how I might find more preferable work in Cumbria. I began looking further afield and reached out to various old friends that I knew elsewhere in the world. Reaching out to those you know is something I would definitely recommend, whether you think it’s right or not, there’s a lot of truth in the phrase ‘it’s not what you know, it’s who you know’ – so make the most of it. One old friend in particular who I had met at University was working for Canon at their headquarters in Reigate. I got in touch with him and he advised me that there were some opportunities in his department. I jumped at the chance and submitted my application. I was offered the job a couple of weeks later and moved South in mid-July. Whilst I was delighted to get this opportunity it did mean I would be some 350+ miles from The Lake District, the place I had to be for my first post-university photography project, The Lion & The Lamb, which at the time was still some way off completion. I have now been with Canon for almost a year and a half. During this time I have completed my photography project, travelling up and down the currently countless times in the process. 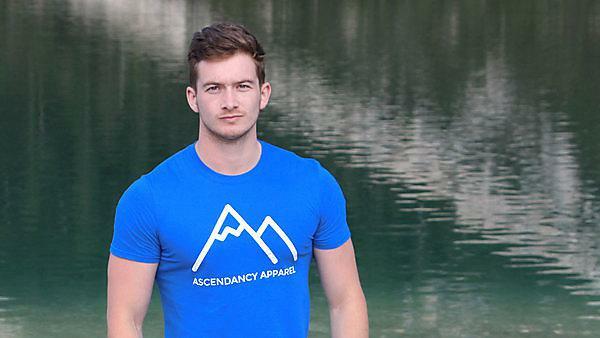 This project is soon to be published and, in June of this year, I launched my own business, Ascendancy Apparel, providing outdoor enthusiasts with information, inspiration, and clothing. I’ve found the corporate environment to be quite a harsh one so far; there’s certainly a mould that you need to fit into to be successful in a big business, and I don’t think it’s for everyone. There have been a few highlights; for me, it is a choice between exhibiting my photography, making new work knowing it will be exhibited, and launching Ascendancy Apparel. In a word, travel. I still plan to travel, sooner rather than later, but I do wish I’d done it straight after university if I could have. My advice to anyone would be to travel before you get into your ‘working life,’ pack a bag and go as soon as you are able. Anyone looking to get an office job/have a corporate career just needs to keep an eye out for ‘entry level’ positions. Companies will usually desire a little experience but are mainly looking for the right attitude with these types of positions. Once you’re in you can gain experience and work your way up. It’s not as easy as that, of course – you have put a lot of work in, learn quickly, show that you are willing, and be very flexible. But, if you can do all of these things there’s no reason why a corporate career path isn’t obtainable, regardless of qualifications. If anyone reading this would like to start their own enterprise then the best advice I could give would simply be to start. When I started Ascendancy Apparel I had no idea whatsoever about the clothing industry and no idea how an image of what I wanted a t-shirt to look like could actually end up as a real, tangible object. Google has the answers to almost everything nowadays and there’s no better place to get started. Learn from other peoples’ experiences, and mistakes, and don’t be afraid to make your own. There’s no other way to do something than to actually just try and do it. Studying at Plymouth was great in a number of ways. I feel I learned a lot about photography and the art world in general. I grew much more confident during my time there, both in my photography and myself. Everything I currently do now has stemmed from my initial photography work so without that I have no idea where I might be today. My favourite memory was my final exhibition of the final year, which also happened to be my first London exhibition. This was my first proper taste of exhibiting in a gallery environment and it was the confirmation I needed that this was something I wanted to continue doing after graduation. For more information about studying photography, please visit our BA (Hons) Photography page. For more information about our range of courses within the School of Art, Design and Architecture, please visit the school page.